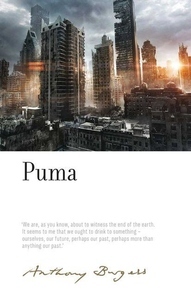 Puma - disentangled from the three-part structure of The End of the World News and published here for the first time in its intended format - is Anthony Burgess's lost science fiction novel. Set some way into the future, the story details the crushing of the planet Earth by a heavyweight intruder from a distant galaxy - the dreaded Puma. It is a visceral book about the end of history as man has known it. Despite its apocalyptic theme, its earthquakes and tidal waves, murder and madness, Puma is a gloriously-comic novel, steeped in the rich literary heritage of a world soon to be extinguished and celebrating humanity in all its squalid glory. In Burgess's hands this meditation on destruction, mitigated by the hope of salvation for a select few, becomes powerful exploration of friendship, violence, literature and science at the end of the world.